American IRA, LLC Alert -- There Are Only A Few More Weeks To Make Those 2011 Self-Directed IRA Contributions. According to IRS Publication 590: Contributions can be made to your IRA for a year at any time during the year or by the due date for filing your return for that year, not including extensions. This means that contributions for 2011 must be made by April 17, 2012. If an amount is contributed to an IRA between Jan. 1&April 18, tell the sponsor which year the contribution is for. If the sponsor is not told which year it's for, the sponsor can assume&report to the IRS the contribution is for the current year. American IRA, LLC issues an alert to everyone that has a self-directed IRA account--2011 contributions must be made by April 17, 2012. Now is the time to remind everyone about the IRS Publication 590 rules in relation to when contributions can be made to your account. Contributions can be made to an IRA for a year at any time during the year or by the due date for filing a return for that year, not including extensions. This means that contributions for 2011 must be made by April 17, 2012. Contributions cannot be made to a traditional IRA for the year in which a person reaches age 70½ or for any later year. A person attains age 70½ on the date that is six calendar months after the 70th anniversary of their birth. If they were born on or before June 30, 1940, they cannot contribute for 2010 or any later year. If an amount is contributed to an IRA between January 1 and April 18, tell the sponsor which year (the current year or the previous year) the contribution is for. If the sponsor is not told which year it is for, the sponsor can assume, and report to the IRS, that the contribution is for the current year (the year the sponsor received it). 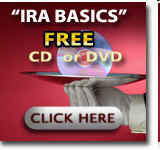 A person can file a return claiming an IRA contribution before the contribution is actually made. Generally, the contribution must be made by the due date of their return, not including extensions. A person does not have to contribute to their IRA for every tax year, even if they can. 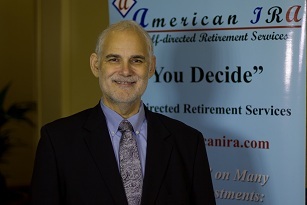 James C. Hitt, American IRA, LLC, CEO, says "While there are definitely deadlines for making contributions to your IRA, it is never too late to open a Self Directed IRA. In fact, we find that this time of the year is when many people reflect on the performance of their investments and decide that it is time for them to take control of their accounts. They are always overwhelming pleased when they begin to experience the freedom of investing in non-traditional assets such as real estate, private lending, limited liability companies, precious metals and much more!" Jim HittCEO of American IRA, LLC Visit Our Website For a Free Informational CD or DVD About Self-Directed IRAs.Educating the public that their retirement account can invest in a variety of assets such as real estate, private lending, limited liability companies, precious metals and much more!